A little new feature to my blog. I see so much in the world of fashion design that I want to share with you that I would bombard you with information and far too many blog posts. So here's some of the best from the previous week in fashion, of which has caught my eye... Enjoy!! 1. FH by Fause Haten A/W13 at Sao Paulo Fashion Week. 2. Prada presents Candy by Wes Anderson and Roman Coppola. Part 1, 2 and 3. 6. 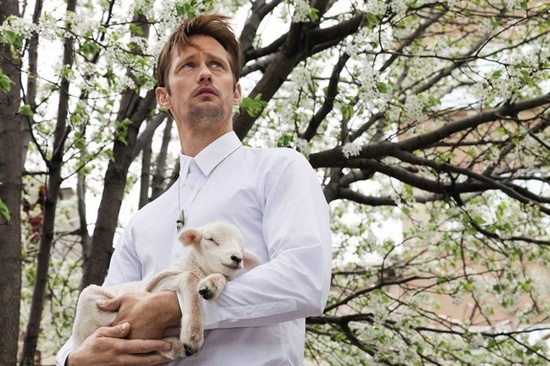 Alexander Skarsgard for Bullet magazine. ♥♥♥ HAPPY EASTER!!! Welcome! I am a womenswear designer, turned fitness addict - this blog follows my life, career & documents everything that inspires me! Follow for a real insight into the fashion industry, as well as honest tips & tricks to stay fit & healthy! I aim to inspire, motivate & empower through this blog! So enjoy! Hope you are enjoying my blog! Just to note that all my design work is under the protection of copyright - so please be respectful of that, as I have worked extremely hard on it all and would be heartbroken. Thanks for reading and enjoy your day!